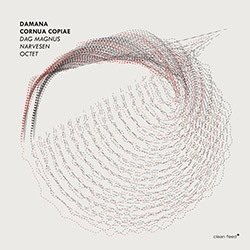 Damana, percussionist Dag Magnus Narvesen’s octet consisting of some of the finest musicians in the Norwegian jazz scene, is a curious beast to behold: you’ve got players associated with the “freer” side of things (Cortex’s Kristoffer Alberts on alto, Jørgen Mathisen on tenor), in addition to artists like Hayden Powell (trumpet) and Kristoffer Kompen (trombone), both of whose projects tend to be more lyrical and entrenched in jazz tradition. 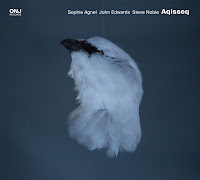 In addition, relative newcomer Øyvind Dale is on piano, André Roligheten plays baritone saxophone and bass clarinet, and Adrian Myhr helms the double bass. On paper, such a combination of musicians might scream “mismatch,” but (fortunately for us) the reality is quite different: far from being ill-matched, the musicians of Damana make for a thrilling, invigorating group, one that seemingly has no limitations with regard to the elements of jazz that it’s willing to fuse together into new and exciting shapes. If you happened to be looking for a visual representation of the sound this group makes, look no further than the album cover itself: a matrix of dots-and-lines that alternates between density and sparsity, sometimes spiralling wildly, sometimes arcing gracefully, and sometimes threatening to fold in upon itself completely. With its opening blast of horns and reeds that can only be described as “pummeling,” not to mention Narvesen’s frenetic, busy percussion, “Tapatapa” puts the tightly-wound energy of the group on full display. “Dalbrecht” is similarly high-strung, with an incendiary baritone sax solo from Roligheten that barrels forward like a runaway train. “Chokolypse” swings from tempo-to-tempo, calling to mind some of Mingus’ more manic compositions in its unremitting push-and-pull. 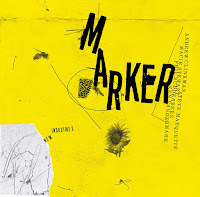 Pieces like “Irgendwie, Irgendwo” and “Melitrugal” take a much more traditionalist approach, with languid tempos and melodies that hint at dreamy-eyed sentimentality (without, of course, ever falling into the tepid soup of over-sentimentality). “Karnivalissimo” starts in the same vein, but Narvesen’s jittery drums and Myhr’s rubber-band bass help the piece morph into something else entirely. “For J.R.M.” closes things on a contemplative note; Øyvind Dale’s piano playing is uncharacteristically Impressionistic, and the other players offer a solemn coda to round off the album’s wild, frenzied edges. 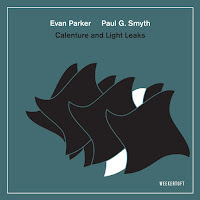 Cornua Copiae is an exciting, ever-surprising work, one that will undoubtedly appeal to listeners who not only want their jazz to entertain, but to astound. Coldest Second Yesterday starts with such a piercing, unnerving, squeal and cymbal crash that the album could almost end right there. The listener receives a jolt so visceral that it seems that there is nothing else left for this saxophone and drum duo to do. Fortunately, after a brief follow up skirmish, they prove this snap judgement entirely wrong. British drummer Steve Noble, has played frequently with other saxophone firebrands like Peter Brotzmann and John Dikeman. 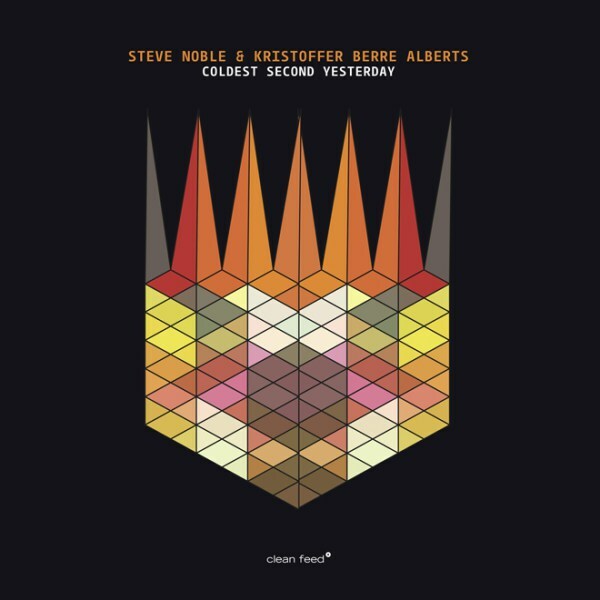 Norway's Kristoffer Berre Alberts has a slimmer discography, but is an integral voice in Cortex, Damana, as well as Awosting Falls. Together, they form a potent pair. In the aforementioned track, 'Animal Settlement' after they take a deep breath, they pull back to a pulsating groove and proceed to show what a lean duo like this is capable of. Quickly regaining momentum, Alberts pushes his instrument to the extreme. Their music is as much muscle as it is melody, and texture as it is time. The music can feel smeared, created in big broad strokes, and at other times ,like all attention is on the meticulous details. The balance between the approaches keeps each moment fresh. 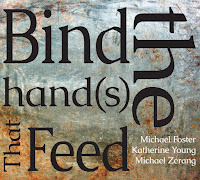 It's a short album - 35 minutes - but so much is packed in that it more than satisfies. Sometimes great albums slip between the cracks, and get reviewed much later than anyone would like; this is one of those. Released in late 2015, Live in Mińsk Mazowiecki is the third recording by Maciej Obara’s esteemed group. This performance at the Municipal House of Culture in Mińsk Mazowiecki, Poland, is notable for its expansion of Obara International into a quintet. Previous members Obara (on alto sax), Dominik Wania (piano), Ole Morten Vaagan (double bass), and Cortex’s Gard Nilssen (drums) are all here, as well as British trumpeter Tom Arthurs. Obara International have never shied away from intricate, winding arrangements, but Live in Mińsk Mazowiecki combines these with ever-greater displays of power. Nilssen is, of course, a big part of this. 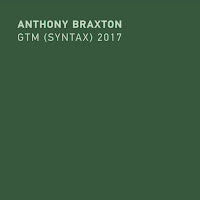 His skittering rhythms and frequent bursts of force have long set him apart from other, more restrained, percussionists, and here he puts that muscular sensibility to good use. Take “Pinnacle of Accura, See?”: I had to check the line-up again, because I was at one point convinced that there were two drummers pounding away. Nilssen is as limber as they come, and Obara’s sinuous compositions give him ample opportunity to illustrate how elastic and engrossing his rhythms can be. One of his most memorable moments occurs on “Idzie Bokiem” - here, Nilssen attacks the kit with as much speed and ferocity as he can muster, and the result is a wild, spellbinding crescendo that draws you in a like a vortex. Bassist Ole Morten Vaagan is likewise a good fit for these compositions. Just listen to the constant metamorphoses that his solo undergoes at the close of “M.O” - from bone-rattling moments of physicality (clatters, clacks, and knocks) to supple stretches of arco, he can do it all. Dominik Wania is equally proficient at adaptation. While he’s comfortable with dropping dense clusters and wispy, near-Impressionistic patches of color onto the compositions, he’s just as effective when it comes to more straightforward styles. The opening minutes of “One For…” are a perfect demonstration of this, with him holding the piece together by means of a gorgeous, lyrical theme. With all my talk about the rhythm section, it might be assumed that Obara and Tom Arthurs aren’t that interesting - but that’s not the case. Obara has a way of coaxing the warmest and most mellifluous sounds out of his alto sax, all without coming across as overly tender or affected. At some points, like in the aforementioned “Idzie Bokiem,” the streams of notes that he unleashes are positively riveting; they pour out like sparks from a blazing inferno, while still maintaining their characteristic musicality. Similarly, Arthurs moves from honeyed, golden tones to wild ululations at the drop of a hat, and the often-frenzied lines he produces always wrap perfectly around the more measured figures of Obara. 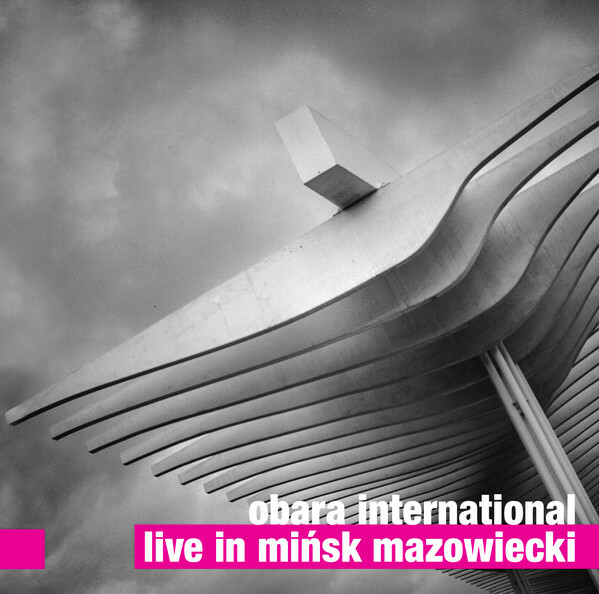 Live in Mińsk Mazowiecki captures a group at the top of their game, and Obara’s multi-layered compositions have something for everyone. Don’t hesitate to pick this one up - you won’t be disappointed.